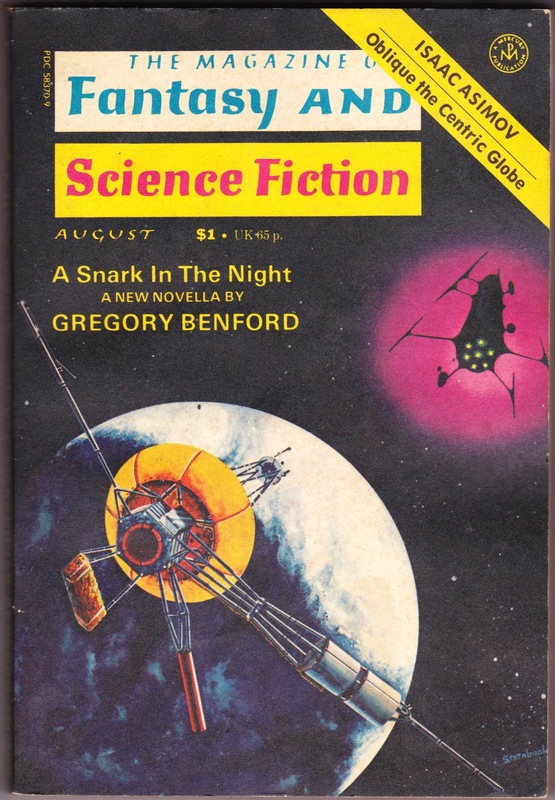 The August 1977 issue of The Magazine of Fantasy and Science Fiction contains — in addition to a novella by Greg Benford, a science column by Isaac Asimov, a cartoon by Gahan Wilson, and a full-page advertisement for Dungeons & Dragons — a little classified advertisement section at the back of the book. Titled "Marketplace," it contains the usual advertisements for people looking to buy and sell out-of-print books. AMAZING TIBETAN EYE CHART. Helps eliminate glasses. $2.00. Donley, Box 988D Port Hueneme, California. It would be interesting to check in with some of these folks, nearly 40 years later. I'm especially interested in how Terry's efforts are going.